Underlying this poor performances have been the dominance of crude oil as a source of national revenue and the lack of will to diversify as long as the price was high. 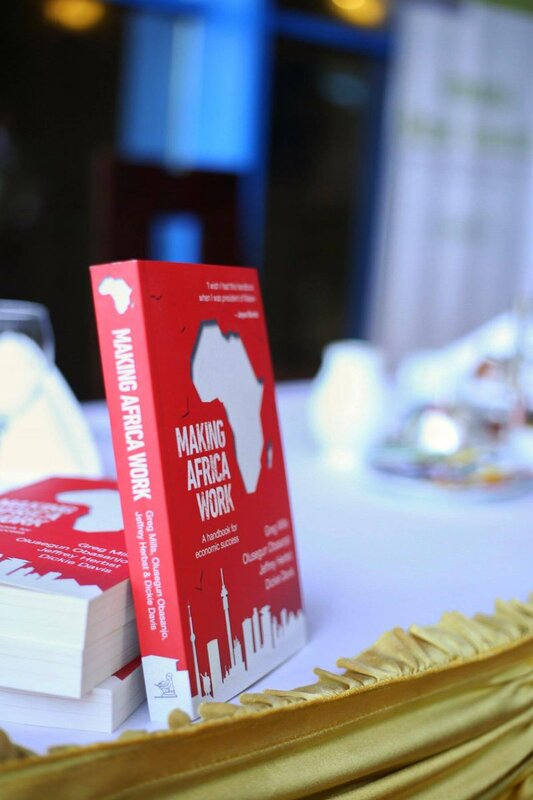 I want to share with you the conclusion in 317 page book titled, Making Africa Work. 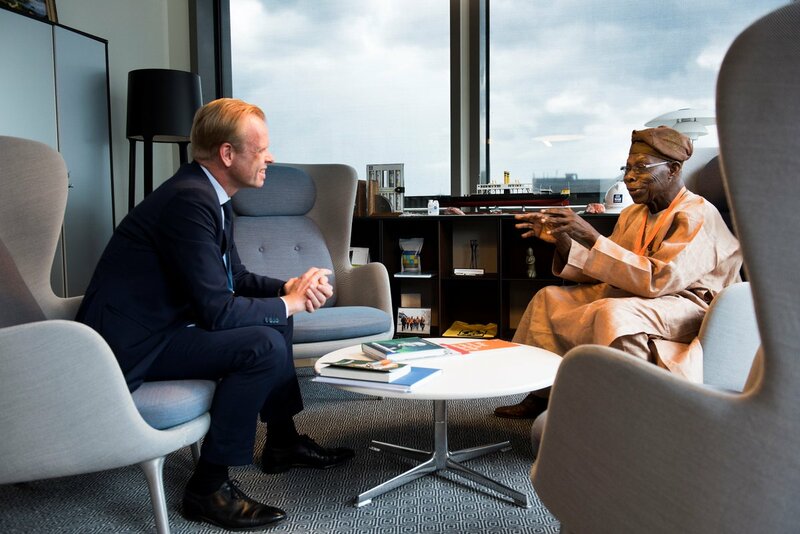 The book was authored by former President Olusegun Obasanjo and three others. The other authors are Mr Dickie Davies, a retired Major General in the British Army, Mr. Greg Mills, who is an adviser to several African Presidents and Mr. Jeffrey Herbst, president and CEO of the Newseum and the Newseum Institute, Washington, DC and also the president of Colgate University from 2010 to 2015. The road north to Jaji from the capital, Abuja, offers plenty of evidence of the scale of the challenge. Stores line the highway, selling bottles of palm oil, guinea-fowl eggs, corn, and soil-encrusted yams. In one of the so-called ‘tanker towns’, more than a hundred fuel tankers have pulled over for the drivers to take refreshments ‘of various sorts’, explains our guide. Small business operate ceaselessly in the heat and amid the dust, cooking and selling food, making furniture, changing and patching tyres, and repairing cars, trucks and motorbikes. The chaotic roadside scenes are a reminder of the strength of the human spirit, the seemingly irrepressible ingenuity of Nigerians and the costs of weak governance. As a result, despite its rich soils and plentiful rainfall, Nigeria is a net food importer. Even though agriculture employs two-thirds of the labour force, the UN’s FAO calculates that over the past 20 years, value- added per capita in agriculture has risen by less than 1 per cent annually. The FAO estimates that Nigeria has forfeited $10 billion in annual export opportunities from groundnut and palm oil, cocoa and cotton alone. Nigeria consumes 5 million tonnes of rice a year, at least 3 million of which are imported. Though it is the largest producer of cassava in the world, the average yield is estimated at under 14 tonnes per hectare; the potential yield is up to 40 tonnes. Equally, productivity of other cereals remain low, at around 1.2 tonnes per hectare compared with, for example, South African farms, which average three times this yield. The reasons for the poor agricultural performance are high interest rates and the resultant lack of investment, the lack of large-scale commercial plantations, scant use of fertilizer, and an absence of extension services. Underlying this poor performances have been the dominance of crude oil as a source of national revenue and the lack of will to diversify as long as the price was high. Nigeria and the many challenges it is facing should serve as a warning to other African states and their leaders. Oil, a geological endowment that few countries can match, did not insulate Nigeria from the extraordinary challenges its government now faces. Indeed, oil may have made everything worse. Unless reform is undertaken now to produce sustainable economies that create jobs, Africa’s fast-growing population, desperate for employment, will soon overwhelm state institutions in many countries. In fact, Africa has seen a 2.5 times increase in the number of public protests since 2000. And, not surprisingly, the protestors’ top three demands are salary increase, better working conditions and calls for the dissolution of government and for the head of state to step down. Without progress, these sorts of protests are likely to increase in number, threatening the stability of the continent and the tenure of its government and leaders. Admittedly, Nigeria has many social fault lines and economic challenges, but other countries have faced similar conditions and difficulties, and done well. Indonesia, for one, shows how things, might be different, despite the fact that country experienced a rapid post-independence increase in population, a reliance on natural resources (particularly oil) for export income, a challenging and discontiguous geography and topography, religious and ethnic schisms, and weak infrastructure. The difference between the two population giants of sub-Saharan Africa and South East Africa is, in blunt terms, leadership. Indonesia experienced much improved economic growth following Suharto’s forced takeover in the mid-1960s from the independence icon Sukarno. Despite the misty-eyed retro mythology surrounding Sukarno, his rule was neither democratic, nor did it deliver development. Instead, as corruption and inefficiency throttled growth, he relied on a combination of personal charisma, anti-Western gesturing and grand scale architecture to get by. By the time he left government under house arrest, inflation was at 1000 per cent. For all his corruption, nepotism, and the repressive nature of his dictatorship, Suharto brought economic order and growth in three decades of his rule. Not for nothing is he known as Bapak Penbangunan (‘Father of Development’) to the serial polygamist Sukarno’s Bung (’Buddy’). Existence securities and freedom of this territory natives of this generation in this 21st century world international order is only under the natives Disintegrated Republics- Biafra Republic of south east, Niger Delta Republic of south south, Oduduwa Republic of south west, North East Republic, North West Republic, North Central Republic, which must be defended with the Sword in this final conquest which is the conquest of Sokoto which has begun. Existence securities and freedom of Africa in this 21st century world international order is only under Southern Countries Union- SCU which comprises Asia, Africa, South America and parts of Europe led by Russia, Turkey representing Europe, China, India, Japan, Indonesia representing Asia, Brazil, Mexico representing South America, Egypt, South Africa representing Africa. This is 21st century world international order. 20th century world international order is dead and gone forever. Anglo-America has fallen and gone forever with their fraudulent criminal UN of 20th century world international order etc. God Is With Us!! !